Our Artisan Shaker line offers modern styling in a shaker style-door. From industrial to contemporary, to just plain ole' country, this recessed shaker offers numerous possibilities. Our Artisan Shaker cabinets are cream in color and will create a clean, orderly look in your kitchen. Not only are these cabinets trendy, they are timeless and cozy, providing you with the gathering space you have always pictured. 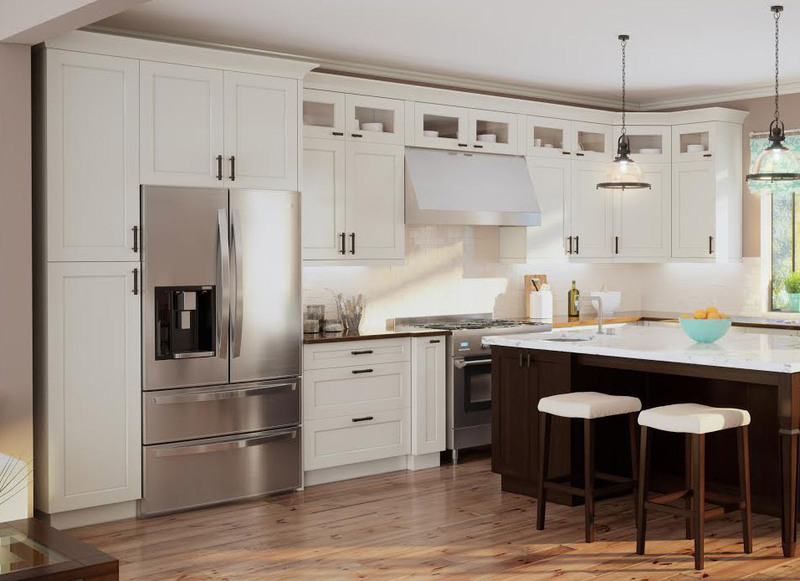 Artisan Shaker cabinets come with full extension, soft-close drawer glides and concealed European style hinges with soft close features and a long list of options. Create the kitchen you've always wanted today with our Artisan Shaker Kitchen Cabinets!